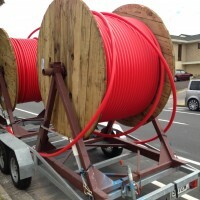 Home » Blog » UFB2 expansion to reach more homes than expected – will it reach you? The reach of Ultra-Fast Broadband (UFB) fibre Internet in New Zealand was announced in 2009 as expected to reach 75% of the population by 2020. In 2015 it was announced that this would be expand to reach at least 80%. Now it’s been confirmed by Minister for Communications Hon Simon Bridges that the reach of the expanded network will be between 84-85% by 2024. The total additional New Zealanders who will gain access to UFB fibre Internet will be 423,000 people.